Jefferson Davis, (son-in-law of President Zachary Taylor), a Representative and a Senator from Mississippi, was born in what is now Fairview, Todd County, Kentucky, June 3, 1808. He was the youngest of ten children, five sons and five daughters. Three of the sons served in the war of 1812, the fourth was drafted to stay at home. The fifth, Jefferson Davis, was then only five years old. In 1818, Jefferson Davis moved with his parents to a plantation near Woodville, Wilkinson County, Mississippi. From there he attended several schools, including Jefferson College and Wilkinson County Academy in Mississippi and Transylvania University in Kentucky. Jefferson Davis was appointed to a cadetship in the U.S. military academy in November, 1823, by President Monroe. He graduated from the academy in 1828 as brevet 2nd lieutenant of infantry and was ordered to report to the school of practice at Jefferson barracks, St. Louis, Missouri. On March 4, 1833 he was promoted 1st lieutenant in the first dragoons "for gallant service,"
After seven years in the army he resigned his commission in 1835 and moved to his plantation, 'Brierfield,' in Warren County, Mississippi, to engage in cotton planting. 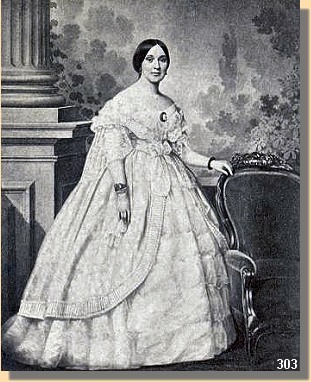 During this time he married Miss Sallie Knox Taylor, daughter of Zachary Taylor. In 1845, Jefferson Davis was elected as a Democrat to the Twenty-ninth U.S. Congress and served from March 4, 1845, until June 1846, when he resigned to command the First Regiment of Mississippi Riflemen in the war with Mexico. After the war, he was appointed Secretary of War by President Franklin Pierce 1853-1857. 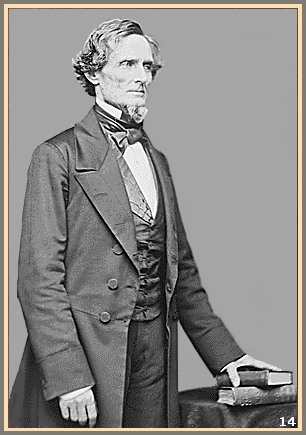 At the end of Pierce's term, Jefferson Davis was elected, as a Democrat, to the United States Senate and served from March 4, 1857, until January 21, 1861. Davis resigned from the U.S. senate in January 1861. Copyright 2009 - 2012 by USACivilWar.com.